Name tags play an essential role in any classroom. Get your back to school on with style and use personal identification products to help. From name tags to custom signs, use these identification tools for multiple things in any classroom. Use them for decorating and helping you to get to know your students. They are great for school games and organization. Need some more ideas? Here are several products to get you started with multiple ways to use each one. This identification tool is useful in so many ways. They are great for hall and bathroom passes. Not only can you print the name of the pass, but also print something colorful like a logo or graphic, so students are less likely to misplace the pass. Attach a lanyard to the badge holder, and the student can wear the pass so that it is visible as they are out of your room. Badge holders are also the perfect solution for parent volunteers for your class or on field trips. Just print the parent’s names on the inserts and then you’ll have a better idea of who came with you the next time your class has a party or outing. Make sure you get the badges back, but then the parent can keep the insert for a scrapbook as a memento of the time they spent at school. Not only are they cost-effective, but reusable name plates are more than perfect for the classroom. Use them for labeling your closet shelves. They are also great for any signage you may need such as a room number or a teacher’s name for their door. And, with printable inserts, you can quickly change any information you need. Add graphics and logos to the inserts for a uniform look. Because you can print anything you need on them, these reusable name plates will fit in any room or office, so don’t forget all the support staff. 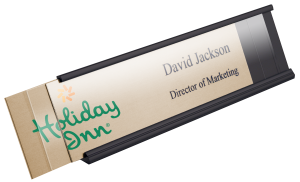 Your secretary will appreciate a new name plate each year with any updated look you may want. Bring a splash of color into your classroom with these blank name tags. Use these identification tools for a fun new way of organizing nearly anything in your closets, on your desk or for student supplies. With the abundance of available colors, we’re sure to have something that suits your decor and needs. You can even write on them using a permanent marker so that they will go anywhere! Bonus idea: use blank name tags for coat rack tags so each student will know which hook is theirs. Are you planning on games throughout the school year? Use these colorful tags for game pieces or labels for each game. From bingo to color matching, these name tag blanks are perfect for any need you have in your classroom! It’s new product time again! This time it is INSERTS! For many years, Coller Industries has offered reusable name badges and name plates. 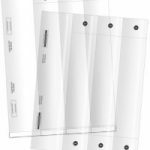 These products are ideal for retail stores and office with a high-turnover rate or seasonal employees. And, to top it off, these badges and plates offer an easy system to provide personal identification to staff will still having a professional look. Mighty Badges™ are one of these reusable products. And now, they just got better! Each badge comes in three parts: the metal back plate, the printable insert and the clear lens. The metal back plate has the option of leaving it blank or printing a UV color logo on it. Add names with the printable inserts using your laser or inkjet printer. Then add the clear, plastic lens by snapping it into place over the top of everything to hold the badge together. 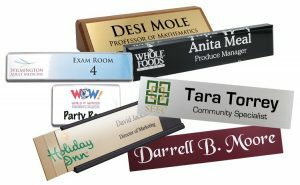 Choose from multiple sizes to create a great look for a professional name tag. And now, how we just made these better! We use to just sell one type of printable insert for each Mighty Badge™. Meant for a larger run of names, these clear, plastic inserts are torn out of the sheet after printing. 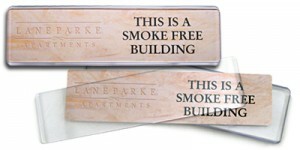 Use each sheet on either a laser or inkjet printer. You will want to make sure you print the whole sheet as it is not recommended to run these through your printer after you remove any of the inserts. Now we sell three types! And they’ll work with most printers out there! These clear, plastic peel off inserts are designed for those who only need one at a time. Simply print the names you need and remove them from the sheet as you need them. They fit most Mighty Badges™ sizes and are available for both laser and inkjet printers. Perfect for full color logos or designs, these opaque, paper peel off inserts will give your name tag a unique look. They cover the back plate entirely with your full color insert. Use either a laser or inkjet printer and remove them one at a time from the sheet or use the whole sheet at once. And, of course, we still offer the Classic Clear Inserts. And here’s the really great news! You can get the same inserts for our Reusable Name Plates line as well! 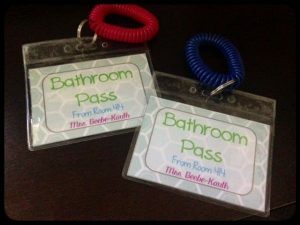 Add new names to these reusable name badges and name plates quickly and at your convenience with these printable inserts. And, if you need help choosing which insert type will work best for your needs, please give us a call! We have officially launched our planned name plate additions, the Reusable Name Plates. 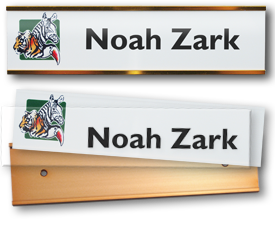 The Reusable Name Plate product consists of 4 parts: a colored metal back plate (gold, silver or white), a clear Lexan Slider, a replaceable insert and a wall mount or desk holder to hold it all together. 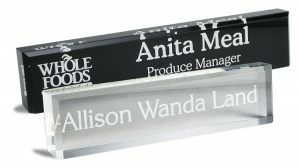 Available in a 2 x 8 or a 2 x 10 inch variation, these name plates provide a professional, yet affordable solution for companies that may have a high rate of employee turnover. Instead of ordering an engraved name plate for every new employee, simply print an insert and swap out the old name with the new one. To make things even easier and to keep the branding consistent between all departments/branches, you can even have your logo printed on the metal back plate. 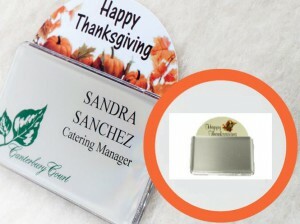 Fast, simple and inexpensive; the Reusable Name Plates are an excellent blend of functionality and value. Click here for more information.